The Bedrock Blog: Why Wuxia? The other day, my friend Chang posted a video which we linked here providing a literal definition of Wuxia. If you missed it, here is Chang's Explanation of Wuxia along with some links breaking the idea down into possible English explanations. Usually it is translated as something like "honorable Hero", "chivalrous hero" or "martial hero". 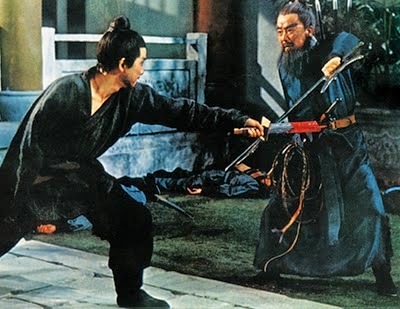 Chang's definition focuses on the root meanings and connotations in which Wuxia means those who are powerful who protect the powerless with martial arts. Personally I am no scholar, just a fan and an English speaker. So I will leave the details of its precise meaning to others. I simply provide this overview of possible meanings to lead into today's subject. 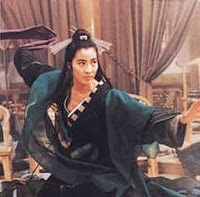 I am just an American who likes wuxia movies. I cannot approach the nuanced understanding of a native speaker. I realize wuxia is a term that has emerged somewhat recently in the US. I don't remember when I first encountered it, but I know prior to that I just tended to lump all martial arts movies together. I was certainly consuming wuxia before I became aware of it as a distinct sub-genre. I tended to prefer films like Tai Chi Master to Fist of Fury (though I still very much loved Fist of Fury). But the thing to understand is wuxia is a clear sub genre of martial arts films, and wuxia movies tend to be set in historical periods and feature chi-fueled martial arts and swordplay. 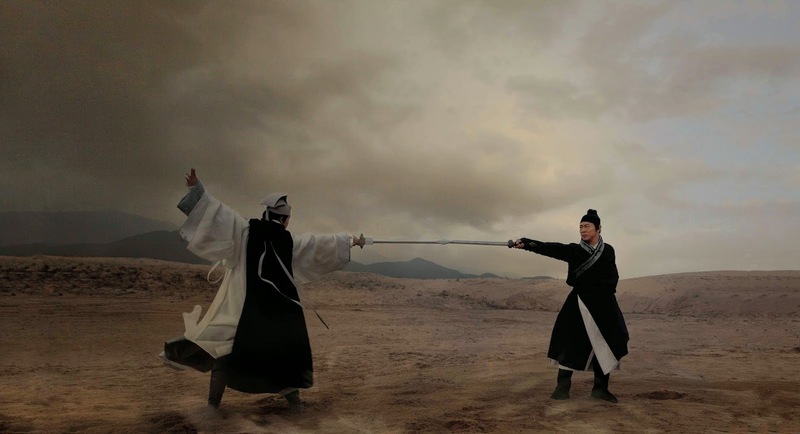 Wuxia films are the ones where characters defy gravity by leaping long distances or skimming over pools of water and perform incredible feats like unleashing energy blasts on their foes. They also tend to be set on the periphery of imperial control, either in literal frontiers or within martial underworlds. I think it's this combination of history, fantasy and rogue settings that make wuxia an ideal genre for gamers and roleplaying games. Sometimes an analogy is a good way to grasp a genre. A lot of folks compare wuxia to western films, and there is much shared there. Robin Hood is also another example that is vaguely reminiscent. But these all lack the fantastic components like lightness kung fu and the ability to channel and use your chi. I think the closest thing we have to wuxia is Star Wars. 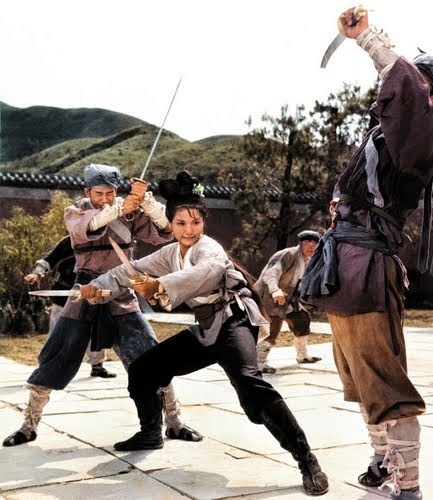 In the newer films especially you see the physicality of wuxia in many of the Jedi battles, but the original trilogy also has that combination of martial arts and supernatural that I think helps explain some of the appeal of wuxia. I have been doing a series here called Wuxia Inspiration, in which I attempt to review films in the genre. Part of this is because I am watching and re-watching a bunch of wuxia movies as we make Wandering Heroes of Ogre Gate, and my enthusiasm for them leads me to write blog entries. My other aim is to help create more interest in wuxia among gamers and to show it can be approached in a light way without getting pedantic or intimidated by those who know more about the genre than you. Here are the reviews I have up so far: Last Hurrah for Chivalry, Killer Clans, New Dragon Gate Inn, The One-Armed Swordsman, Detective Dee and the Mystery of the Phantom Flame, Swordsman II and Swordsman, Journey to the West: Conquering the Demons, A Chinese Odyssey, Come Drink with Me, and Brothers Five. The last two are part of a series of Cheng Pei-pei reviews I hope to do over the next few months. You may recognize her as Jade Fox from Crouching Tiger, Hidden Dragon, but she has been appearing in wuxia films since the 1960s and is arguably one of the greatest actors in the genre. What I like about her movies is the acrobatics she brings to it and the grace of movement. There is a real rhythm and musical flow to her swordplay that stands out. Because she had a background as a dancer she brought that to her martial arts work on films like Come Drink With Me and The Lady Hermit. People also frequently single out Come Drink With Me as the first modern wuxia movie, so I think it is appropriate to start there and with Cheng Pei-pei when tackling the subject. The others are a pretty even mix of old, not-so-old and recent wuxia films or television series. It is a deep genre. Not only are there countless movies to track down and view, there are television series that have 30-50 hour long episodes. That is a lot to dig into, and it can be fun if you find the right series that connects with your interests. 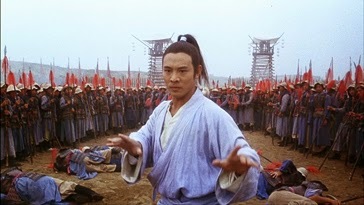 Most of these series and movies are based on wuxia novels by writers like Louis Cha and Gu Long. They are not widely available in English (at least in print) but online translations exist. Here is the thing I want to avoid in all this though: I don't want to make wuxia seem like something that is inaccessible because it is unfamiliar or part of an exclusive fan club. I don't want to handle the material like it is magic because it comes from another country, and I don't want this to be a "hot chicks with swords" thing. In particular, I want to avoid the pedantry. Sometimes you encounter strains of that in our geek culture around things and I am just interested in talking about this as a fan, not as an expert or someone with more knowledge than they have (though I will happily bring guys like Chang in here who do have more first hand knowledge to help explain things). So to answer the question I started this article with, the reason I am talking about wuxia and writing these reviews is I believe it has a lot that can inspire gamers, even those running more traditional fantasy. Even if you ignore the martial arts, the wirework, and the historical setting, wuxia movies, series and books have all the elements found in a good game of D&D. In fact I would argue they make better use of some of the same staples. Inns and Taverns in wuxia offer a lot more in terms of adventure potential than they often do in western fantasy (at least in my opinion). Another feature of wuxia that I think would appeal to western gamers is the parity of women and men in battle. Down the road I will do some articles helping to explain some of the things in wuxia that look unusual to American eyes. Things like why characters can leap hundreds of feet or create an air blast by slashing their sword. I think the more you understand these elements, the more fun wuxia becomes, because it isn't all random abilities, there is an internal logic at work, just like a fantasy setting with magic has internal logic that explains what wizards can do. Wuxia as a sub-genre is easier to explain thanks to the long break between old "blackbelt" movie dubs and the mid 90's film invasion. The Shaw-era movies worked within their stunt/FX limits. Still, you can show how certain heroic plots were attempted then, later accomplished with total realism. For example, scenes from both versions, old and new, of ZU.